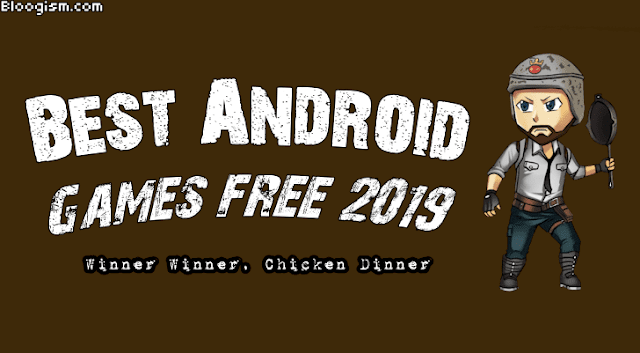 5 Best Android Games of 2019, You Should Play Playing Games on Mobile Phone is getting Popular day by day, as you know peoples are much busy in their life they don't have time to play games on Xbox, Play Station, or on a Computer. Today we will share some Best Android Games Free. You can download those games from our site too. Playing Games on Mobile Phone is getting Popular day by day, as you know peoples are much busy in their life they don't have time to play games on Xbox, Play Station, or on a Computer. Today we will share some Best Android Games Free. You can download those games from our site too. So, Subscribe us with Email, and get connected with Facebook, Twitter, Pinterest. PLAYERUNKNOWN'S BATTLEGROUNDS goes mobile - the original Battle Royale game is now available on your device. PUBG is a multiplayer online game, you can play in the world sitting anywhere, you can make room and add your friends to play with. If you want to Download PUBG [##download## Click Here]. If you are a racing game lover, this Game will solve your thirst. Asphalt 9 is a 2018 racing video game, developed by Gameloft Barcelona and published by Gameloft. Released on 25 July 2018, it is the ninth main installment in the Asphalt series. Mobile Legends, 2017 ’s mobile eSports masterpiece. Shatter your opponents with the bit of your finger and claim the crown of strongest Challenger! The end of the day comes. The zombie virus swept the world and humanity is in danger of dying! In order to survive, you can only fight with zombies. For the fate of mankind, try to kill zombies, save more survivors, and survive together in this last day.